I wanted a little something to spruce up our temporary snowbird home for Valentine’s Day. 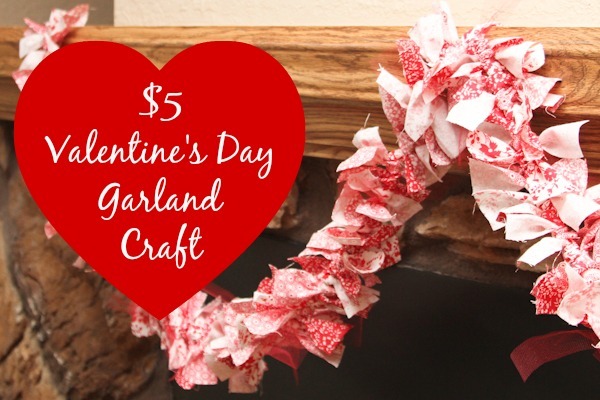 After a bit of thought I decided to make a Valentine’s Day garland to go above the fireplace. This took about an hour to put together, but it is a good project to work on while watching tv or a movie. I love how inexpensive it was to make. I found the fabric at Walmart. It ended up being 75 cents for a quarter yard. I picked up three different prints of fabric and a quarter yard of tulle. I love how the tulle adds a different texture to the banner. 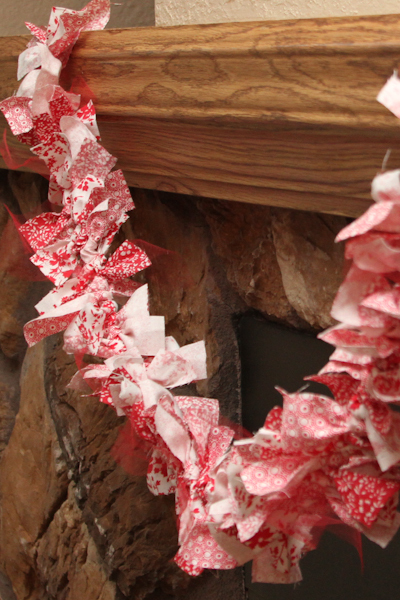 Of course, you could make this for any holiday by changing up the fabrics or make it for everyday. The possibilities are endless. This is a great craft for adults, but this is also an easy arts and crafts for kids and the perfect way to keep them busy for a bit. The finished project looks great and it cost less than $5 to make. 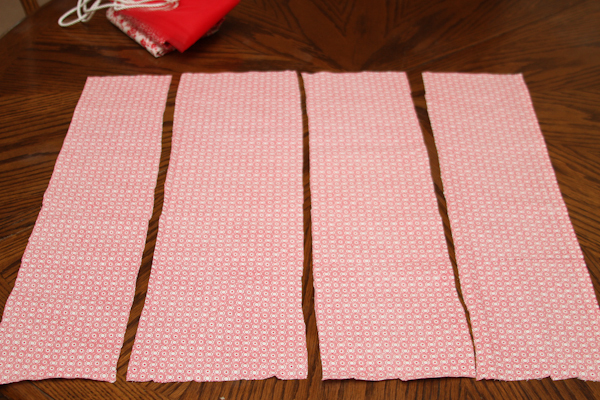 Cut fabric into four (semi) equal strips. I didn’t measure it out. I just cut the fabric in half and then cut it in half again. 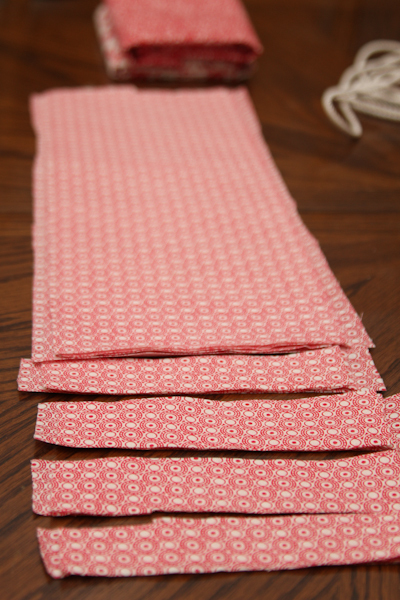 Stack the four strips of fabric on top of one another and cut them into, approximately, 1 inch strips. 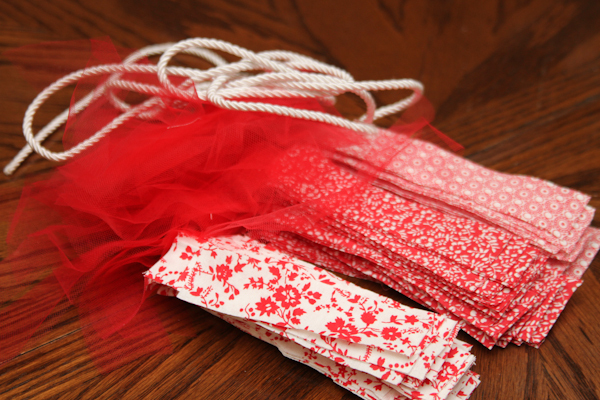 When you are done you should have a pile of fabric ready to be tied onto the cord. To start, make a loop at one end of the cord. 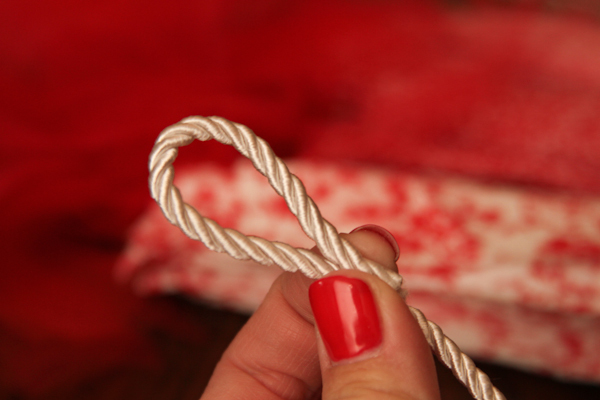 Tie a piece of fabric around the loop bottom to hold it in place. 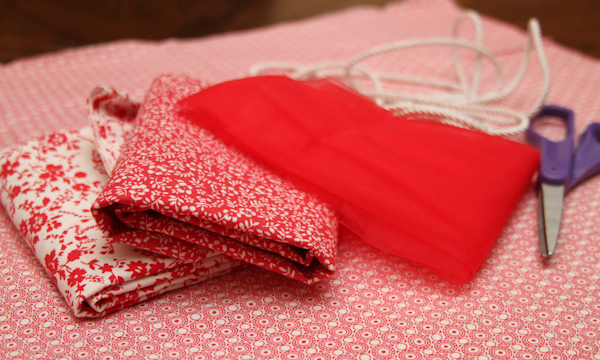 I found that two piece of fabric tied tightly on the loop bottom work s best. 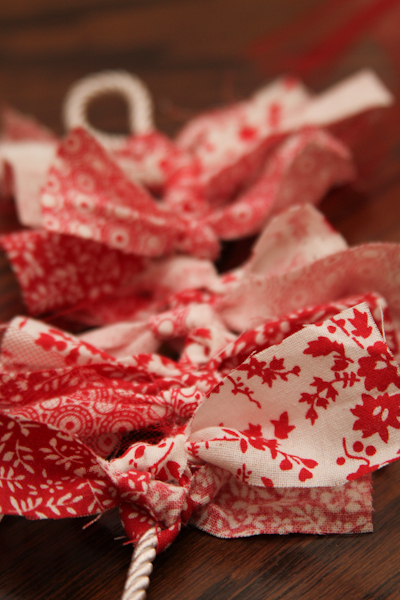 Loosely tie the remaining strips of the fabric onto the cord. A simple knot works best. 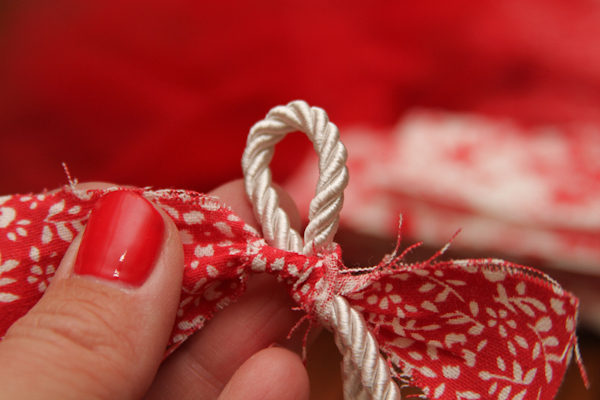 Don’t tie too tightly otherwise there will be kinks in the cord and it won’t hang nicely. Continue tying until the cord is almost covered. Create another loop at the end like you did at the start. This creates an easy way to hang the banner. PIN THIS ARTS AND CRAFTS FOR KIDS IDEA!